Our co-founder, D.J., is syndicating his "So You Want to Write a Book..." series of posts from his personal blog on the Hunt to Read blog, to show aspiring authors that it's not nearly as difficult to get a book into print as they might think. This post deals with tried-and-true methods to write more words per day. Enjoy! You've finished the prep work. You have your tools. You even managed to sit down and start writing; it might not be Hemmingway, but hey, at least you have a jumping-off point. Yet if you're anything like I was, you're struggling. Maybe you've inched your way through 10, 15, even 25 or so pages. Well done! My guess is that unless you really have a story burning a hole in your brain (it happens) or if you're just naturally juiced up about writing (also happens), you've probably hit a bit of a lull. I should know; when I quit my previous job, as an attorney at a large law firm, it took me a while to really get going as a writer. Keep in mind that most of my work as an attorney was writing! I often had to churn out incredible numbers of words on very short deadlines, proof my own work, and deliver it to partners or clients. And yet, when I no longer had that structure in place, those quick deadlines or nudging emails from eager clients, I struggled. It didn't help that I bought in to a lot of the myths I heard about creative writing: that it's hard. That you have to write, then re-write, then re-write again, send off the manuscript, get rejections, re-write again...etc. I would sit down, focus for a couple of hours, look at the page progress in my double-spaced Word document, and figure, "Well, five pages is pretty good for the day. Maybe I should write a blog post to build my all-important 'platform.'" It's amazing how young and naive I was only two short years ago! Even if I wanted to write more, it was about that time of day that the "brain fog" seeped into my mind. I could hardly think, let alone conjure up how a "scene" with these ridiculous "characters" was supposed to go. Much easier to do some "research" to figure out how the characters would react! Dean Wesley Smith does a fantastic job of laying out a lot of these myths and chopping them down in his fantastic Killing the Sacred Cows of Publishing series of posts. His post about "Writing Faster" absolutely altered the course of my life. Let me back up; in law school, my last "class," if you can call it that, was a sixty-page independent study paper under the fantastic Professor Anne Coughlin. Call it a thesis of sorts. It was about how law and trials had served as entertainment for the masses from Ancient Greece through the Lizzie Borden trial and beyond; what was so compelling about the law that turned us all into slack-jawed lookie-loos, even in ancient times? It was a decently fun paper to write, but it was also very research-intensive. Fortunately, the school gave us an extra week after graduation to finish up the project. Unfortunately, I was my immature, younger self. Instead of doing the responsible thing and finishing the paper up by graduation, I left campus with a grand total of 20 pages written. With three days left, I had 25. I wrote the rest of that paper, all 38 pages of it, in three days, heavily researched, writing about ten hours per day. Proofread, edited, the whole nine yards. Yet there I was, three years later, struggling to write more than five pages in one sitting. Something wasn't right here. I knew I had the capacity to write more, but how in the heck was I supposed to get back to that level that I was at when I finished my paper in those manic three days? More importantly, how could I keep that pace up, or even surpass it for long stretches of time? Here are some of the tips I've gleaned along the way to do just that. This is easier said than done, but nothing helped me more than becoming a beat reporter covering the St. Louis Rams during the 2011 season. I wrote six columns a week, each one at least 1200 words and often closer to 1500. One of those columns each week was my colorful "Power Rankings," which contained clearly fictional, outlandish scenarios involving teams that developed a bit of a cult following. Those Power Rankings columns averaged 5000 words. I wrote them in a single day, on what was supposed to be one of my days off: Tuesday. I went above and beyond first of all because I loved what I was doing, but also precisely because I wanted to push myself, to get back to that level of stamina that I previously was at. Not only that, but by writing so much, my ancillary skills (thinking up topics, editing, researching) all developed a lot during that single season of football. But even more than that, I was getting paid to write; it made it seem like more of a profession to me. Though my work outfit was often a polo shirt and jeans instead of a suit and tie, I still learned to put fingers to keys and write, write, write. That said, it's very tough to earn an opportunity like that. I'll be the first to admit that I was very lucky to land that gig; if I hadn't quit my job two months before, I would've seen the posting, fantasized about applying for it, then shook my head as I went back to tedious legal work. Anyone can start a blog. It's free and easy on sites like Blogger and Wordpress. I prefer Blogger because it's what I'm used to, but a lot of folks swear by the functionality of Wordpress; to each her own. I tried turning my personal blog into a "platform" in the early going, tried posting to it every day back when it was about self-actualization. This was pre-Rams gig, and the results were less-than-thrilling; I churned out post-after-post, with no comments and minimal traffic. I was going about it all wrong, and would have absolutely done things differently if I was starting up now (but that's a different post entirely). It did help me get into the habit of writing every day, so I guess that was helpful. However, I would suggest writing a blog for a while and then use that blog as writing samples to book a regular guest post gig on another, more popular blog. It's sad, but if you know that more people are reading what you write, and you have a regular schedule, even if it's once a week, I guarantee that you'll take your writing to the next level. Once you guest post a few times, try to leverage that into a role as a regular contributor. It might scare you now, but remember, this is about increasing your word output. Mastered that? Maybe pick up another gig as a regular. I'm just trying to have you replicate what I did as best you can. It'd be great if you could get a gig where you were expected to write 12,000 words a week all in one place. Until then, though, try to replicate the quantity and commitment of that output as best you can. Pick a day. Clear your schedule. Plan out and write a 5,000 word piece on something that you're passionate about. I wrote the Power Rankings because I enjoyed writing them on my old blog. They allowed me to mix my natural affinities for football, humor, and fiction. In short, I was passionate about all of those topics, and created a way to combine them. I'm sure there are similar things that cause you to smile, that put a little more bounce in your step and wind in your sails. Maybe it's a hobby, or politics, or sports, or food. There are literally millions of topics that qualify. Pick one of them and write a 5,000 word essay, all in one day. You can take breaks, but be careful; the break is a fickle creature that you have to be careful with until later in your writing career. I don't care if it takes you until early the next morning to finish, but write those 5,000 words no matter what. The lesson behind this is that not only does it feel good to write those 5,000 words in a day, but you prove to yourself that you can do it multiple times. It's not just a one-time thing because you were writing on your favorite topic; if you do it twice, then why not a third time? Then a fourth time? And so on. Prove that you can write the sheer volume, then repeat it over and over again until you're comfortable with it. By now, surely you have Scrivener. You don't? What!? We covered this two posts ago! Yes, yes, absolutely go get it now! One of the great things about Scrivener is that it has a "Project Targets" tool that tracks the number of words you've targeted for the day, as well as the entire manuscript. It's under "Project" - "Show Project Targets" in the Scrivener menu bar. It's absolutely a great way to both hold yourself accountable and also see the steady progress that a 4,000 or 5,000 word day will bring. Use the tools that you already have. Doing all of the above, but still not writing much? Why not try writing at home instead of at Starbucks, or turning off the internet while you write? I'll admit it, because I'm part of a team running a website now, it's incredibly tough for me to turn off the internet at any point during the day or evening. That said, when I started out writing, there were long stretches of days that I forced myself to go without internet to make sure that I didn't just "hop on" a site. Then you type for a while, and before you know it, you're thinking "how did those 3,000 words get up there?" It's amazing what a little forced focus can do! Editing (meaning copy editing and cutting excess fat) has a place in the life of every book. Just not while you're writing. Re-writing (changing scenes, characters, etc.) is even worse; you start questioning your own work and spinning your wheels. Get that first draft out on paper. Odds are that you'll think your first draft of your first novel is a lot better than it is. That's fine. Trust me, each subsequent first draft will get a little cleaner, look a little neater. For now, get the words on the page. Don't let an impromptu editing session ruin the flow. I used to think that traditional "writer's block" was something. Now, I think it's just me being lazy. Don't get me wrong; I still give in to it from time-to-time, but I do so knowing full well that I'm making it up; if I want to know what happens next, I just need to look at my mind map. What I usually mean by "I have writer's block" is that I think my dialogue is too boring, or my characters sound too flat at the moment. If this happens, I go for a nice long walk of at least two miles. I always throw on a comedy podcast while doing so; my current favorite is You Made it Weird, with Pete Holmes, but I also really enjoy Alison Rosen is Your New Best Friend, The Adam and Dr. Drew Show, and The Adam Carolla Show. They may or may not be for you; there are literally thousands of other podcasts out there to choose from. The important thing is that you pick podcasts that have elements of improv within them. DO NOT steal their jokes; that's absolutely wrong, and NOT the point of this! I picked up Sudoku on a lark probably about a year-and-a-half ago. I usually do USA Today's puzzle pretty much every weekday; it's always solvable without guessing, and the Thursday/Friday ones can throw you some real curves. It doesn't have to be Sudoku, but think of other ways to get your mind moving, keep it nimble, and solving problems. After all, solving problems within a set of rules you've created for your characters is absolutely what fiction writing is about. If you can't, I'd strongly suggest learning how to touch-type. The crazy thing is, my parents tried to get my brother and I to do so as kids, first through the boring Mavis Beacon Teaches Typing, and then through the slightly-more exciting Mario Teaches Typing. It never really took until I was in college, and simply had to find a way to type more quickly than via hunt and peck alone. Since then, just by writing a lot, I've gotten to the point where I can touch type as fast and accurately as pretty much anyone I know. Some people need a course or software to learn it, though; my brother was one of them. He took a class over the summer one year in high school, and for a while he could type a lot more quickly than I could. There's absolutely no shame in it, and it'll be money well spent. Remember, you're aiming to be a professional; treat your training accordingly. 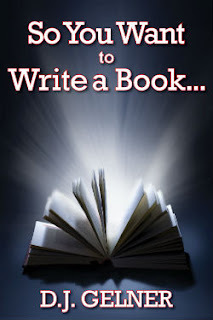 -Create a set of circumstances that forces you to write a lot. -Stretch out your sessions by writing long-form pieces on topics you enjoy. -Use the tools in your toolkit. -Use physical and mental exercises to break through so-called "writer's blocks," which are often a creation of our own minds. -Increase your physical typing speed so that when you're "in the zone," you capture all of your thoughts more quickly, and thus capture more words in a shorter period of time. I know it was a long piece--2,500 words or so. Total time it took me? 90 minutes, start-to-finish. Sure, it helped that I had some idea of what I was going to write ahead of time, but it was largely "just write, dummy! ", with purpose and dedication. Follow these steps, and some day, you'll be able to keep this pace, as well. Have any tips on how to get more words out on the page per session? How to fight through writer's block? Leave them in the comments.